Life Outside the Library: It DOES exist! For the past week, I’ve been at home with my son aka The Tiny Human. 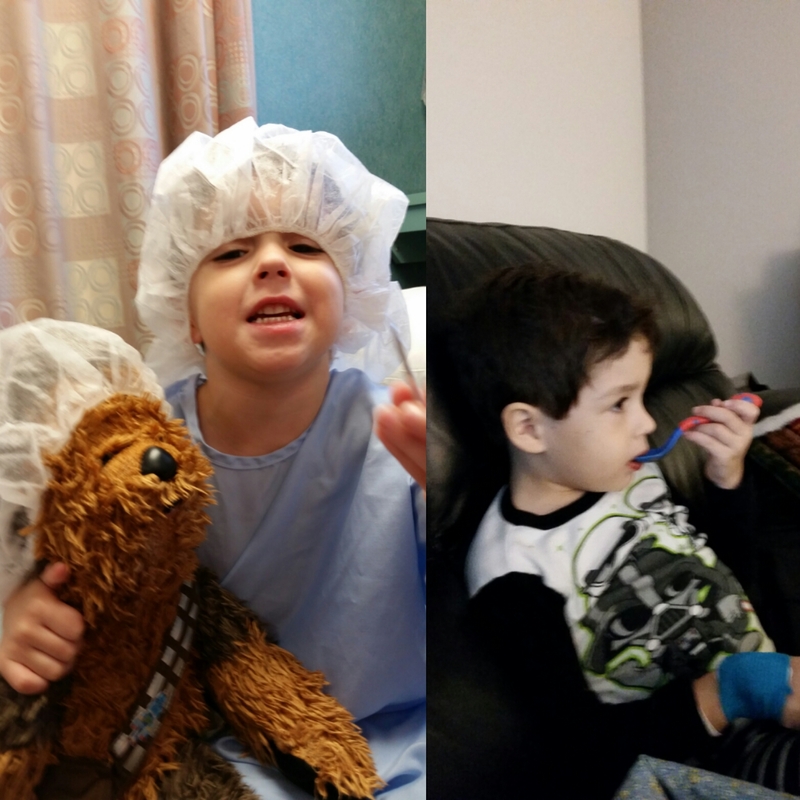 He had his HUGE tonsils removed and needed at least a week of R&R. Thankfully, all went well during his surgery and his recovery. Other than confirming that he has a high pain tolerance (file under good/bad), the week was fairly uneventful. And filled with chocolate ice cream, juice, and Star Wars marathons. And the occasional “I’m tired but I don’t want to nap” meltdown. This entry was posted in Uncategorized and tagged life crisis, The Tiny Human. I’m glad he’s recovering well and that you got to spend some extra time with him. Star Wars marathons are always a good idea, especially when ice cream is involved.